Kate Garry Hudson (born April 19, 1979) is an American actress. 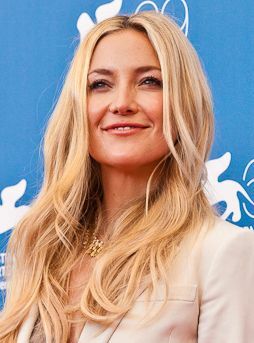 She rose to prominence in 2000 for playing Penny Lane in Almost Famous, for which she won a Golden Globe and was nominated for an Academy Award for Best Supporting Actress. Her other films include How to Lose a Guy in 10 Days (2003), Raising Helen (2004), The Skeleton Key (2005), You, Me and Dupree (2006), Fool's Gold (2008), Bride Wars (2009), Nine (2009), The Killer Inside Me (2010), The Reluctant Fundamentalist (2012), Wish I Was Here (2014), Kung Fu Panda 3 (2016) and Deepwater Horizon (2016). Read more on Wikipedia.